At Home Instead Senior Care, we provide personalised home care for older people that is dignified, reliable and relationship-led. We believe that everyone is different and that’s why we don’t offer a ready-made package solution but help that is tailored to your needs and will adapt as your needs change. From companionship, to dementia care and home help, our wide range of home care services can help you to keep living happily at home. We want to make your experience stress-free and that’s why we provide a cost-effective care solution with prices that are easy to understand and manage, to give you more control. Our CAREGivers are carefully selected to match the personality of the person they will be visiting. 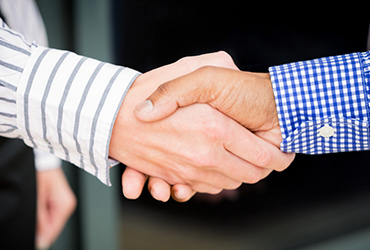 We choose people for their enthusiasm, friendliness, warmth and empathy as well as their range of interests above their professional background. This is what helps to build a relationship with the person they care for and their family. All our CAREGivers undergo extensive background checks and are given high-quality training to give them the confidence, knowledge and skills to care for older people. Our care services are relationship-based. Matching a CAREGiver to you ensures that you’ll see the same person every time. Your CAREGiver will get to know you as you’ll get to know them. This proximity allows them to spot anything unusual and help prevent illnesses or accidents more easily. It is usual for our visits to last at least one hour to ensure our CAREGivers are not rushing and take the time to look after you. We also keep a family notebook to ensure family members know how their loved one is doing, which is especially useful if they don’t live nearby. Most care decisions are made in urgency after an accident or an illness. At Home Instead, we are working hard to change this. 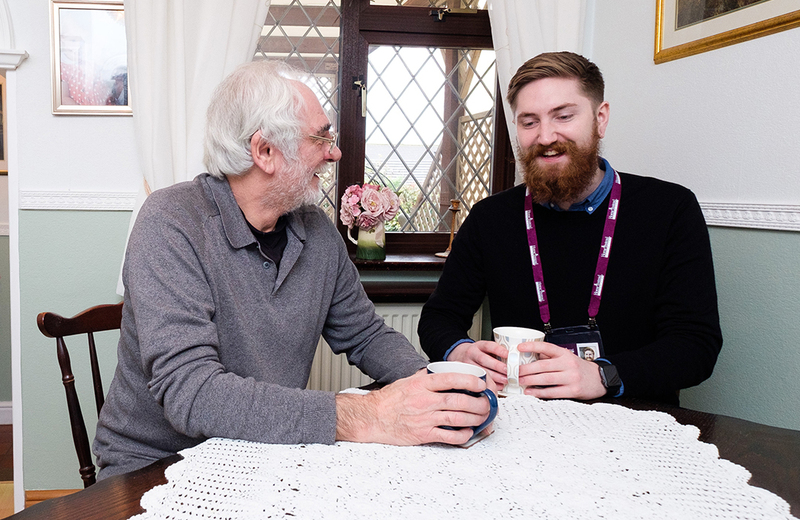 We’re convinced that providing support at home can help to prevent – or at least delay - accidents and illnesses. It also enables older people to live a fulfilled life in familiar surroundings for longer. Dementia workshops organised across the UK and free to attend. Online training materials with videos and tutorials to guide you when caring for someone with dementia. Community involvement schemes to help protect the older people from fraud and give them some joy at Christmas. Advice and support articles to find out more about various subjects around care, ageing and dementia. 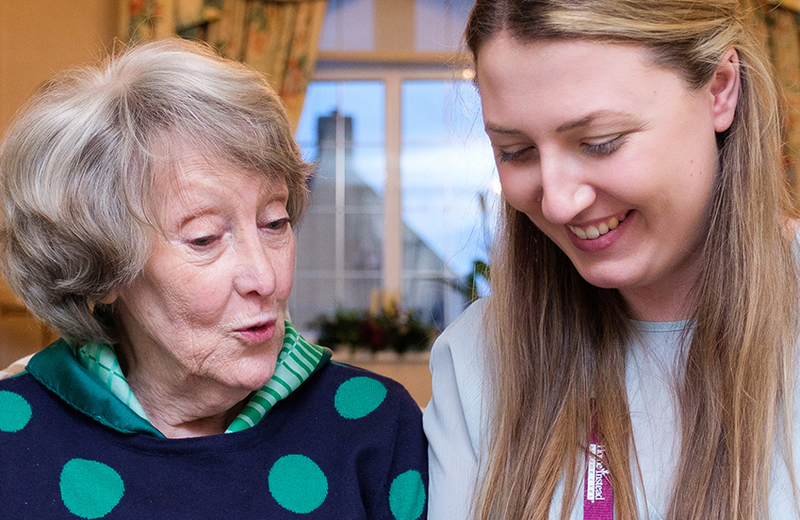 Make an enquiry with us to discuss your care options and get the support you need. At Home Instead Senior Care, we work with you to provide flexible, personalised home care based on your specific requirements and when you need it. Our CAREGivers are hand-picked for their character and values and are expertly trained to support older people and their families. 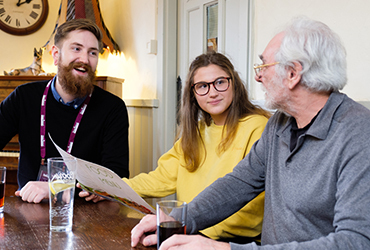 We value working together in partnership with individuals and organisations who, like us, believe that there are better ways to support older people to age well and live independently at home. We understand spotting the signs of dementia may be difficult or you may be worried about your loved one. That’s why we have worked with a panel of experts to develop resources to help provide advice and support. 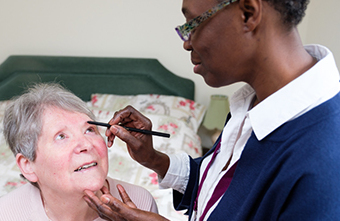 Letting someone provide care for you at home can be a very personal experience. That’s why we set the bar extremely high with regards to the standard of care we deliver.